Sold the muscle truck yesterday and bought this today. 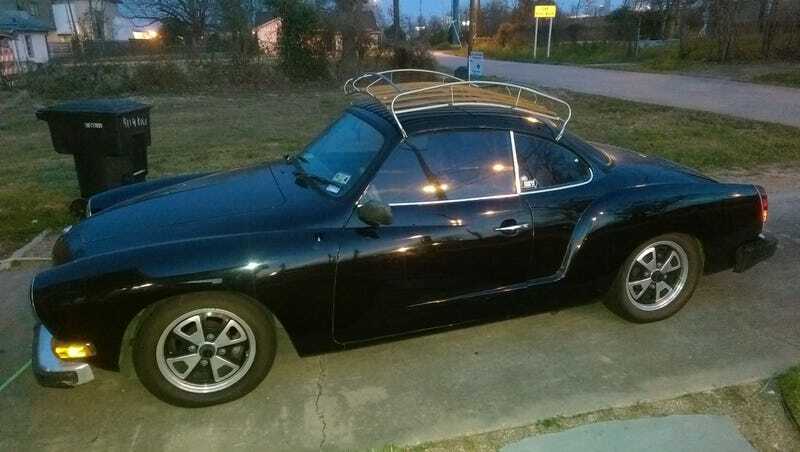 1974 Karmann Ghia. It's in great mechanical shape and looks good from about 10 ft away but when you get closer it has some rust bubbles on the rear quarters panels. Either way should be a fun car to tool around in. Light was fading so no more photos, here is the ad I bought it from.